Home Unlock Huawei How to Unlock Zain Kuwait Huawei E5577S-932 (Firmware 21.327.62.00.1367)? How to Unlock Zain Kuwait Huawei E5577S-932 (Firmware 21.327.62.00.1367)? 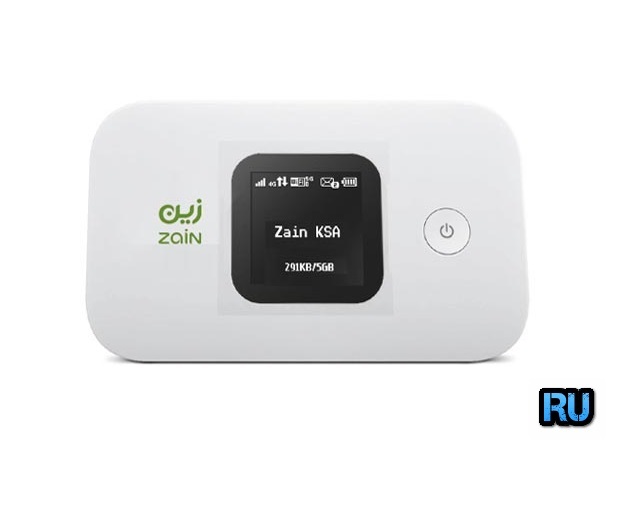 Earlier, we had unlocked Zain Kuwait Huawei E5577s-932 which comes with firmware 21.318.03.00.1367 and WebUI 17.100.15.04.1367. Now Zain carrier has updated its firmware version to 21.327.62.00.1367 and WebUI to 17.100.18.00.1367. Now our team has developed a new software, which can unlock both firmware’s 21.318.03.00.1367 and 21.327.62.00.1367 without opening the screws. Means there is no boot shot method is required. Just connect the Zain Huawei E5577S-932 to PC and run the unlocker file to unlock it. 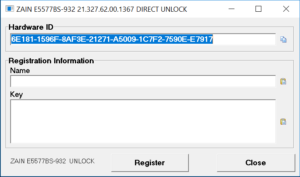 How to Unlock Zain Kuwait Huawei E5577S-932 (Firmware 21.327.62.00.1367 and 21.318.03.00.1367) without opening the screws? 1. Download the latest Zain Kuwait Huawei E5577S-932 unlocker software. 2. Extract it on PC. 3. Run the Zain E5577s-932 unlocking file. 5. Copy the hardware id and pay 10USD at PayPal (While paying mention hardware id and model of the device). 6. Once the correct details received by our support team, he will send an email with registration details. 7. Now connect Zain Huawei E5577S-932 to Windows 7 or XP PC with USB cable. 8. Open My Computer >> Virtual CD-ROM. 9. Install on your computer. 10. It will open the Zain WebPage, just close it. 11. Now run the DC unlocker software, which is inside the downloaded folder. 12. Detect the device under it. Note: You can download Huawei drivers from here. 14. Press Enter from the Keyboard. 15. Now the device will go into download mode. 16. Now run the Zain Huawei E5577S-932 unlocker software. 17. Fill the details which you had got in the email. 18. It will start flashing the device. 19. Once the firmware update is completed, detect the router again in DC unlocker. 21. Press Enter from the keyboard. A response will be OK. Now your Zain Huawei E5577S-932 is unlocked forever to use with all sim cards. Now update the device with stable firmware Huawei E5577s-932 21.200.09.00.00. 22. You can email for further instructions for unlocking. Next articleHow to Unlock ZTE Blade L7A?